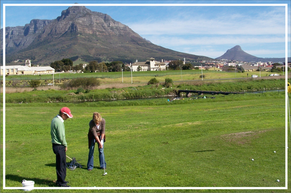 La Roche Guest House is situated in a quiet residential area in Milnerton, only 1.7km from Milnerton Golf Club and Milnerton Beach with its renowned sunsets and backdrop of Table Mountain. Century City (Canal Walk), the largest shopping mall in Africa, boasting over 400 shops, numerous restaurants and cinemas is only a five minute drive away. This home is the perfect location for golfers, windsurfers, cyclists, and sightseers to explore the area's abundant attractions. The commercial areas of Montague Gardens, Paarden Eiland and Killarney Gardens are all only a short drive away, making our location ideal for business travellers. For guests not wishing to drive, the Milnerton MyCiti terminal is a mere 5 minute walk away. This modern service connects our guests with the V&A Waterfront and Central Business District, as well as Table View and the world famous Blaauberg Strand. Your hosts, Heike and Jolyon, look forward to your visit and will make every effort to ensure you have a memorable experience. includes a continental and English breakfast. 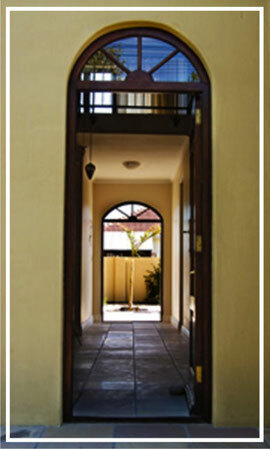 This special offer is valid for single room boo king of 3 days or more. 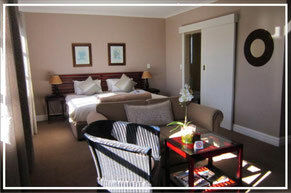 Extend your trip from Friday to Sunday at R850 per night and invite your partner to stay for free(double room sharing). This special offer includes breakfast for both you and your partner. 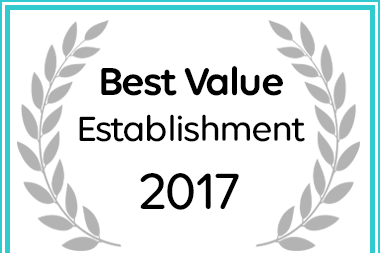 Applies only to direct bookings with us. These specials are subject of availability. Payment due in full on confirmation and is non-refundable. Valid from the 15th of April until the 31st of August 2019. 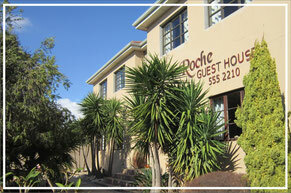 La Roche Guest House was opened in 2005 in the peaceful suburb of Milnerton, Cape Town and is owned and managed by Heike Lührmann and Jolyon Proudman. La Roche has a peaceful and calm ambiance with much emphasis was placed on the use of natural shades and spacious rooms to ensure the well-being of our guests. Discover South Africa with one of many tours of this beautiful area.